We’re back! It’s been a long time coming. I purchased the domain Graptemys.com in 2001 due to my interest and infatuation with the turtles in the Genus Graptemys. My passion for this group of turtles started in elementary school from studying my treasured herp books such as Conant’s The Peterson Field Guide to the Reptiles and Amphibians of Eastern/Central North America (1975), Smith and Brodie A Guide to Field Identification of Reptiles of North America (1982), Zim and Smiths A Golden Guide to Reptiles and Amphibians (1956), and of course Ernst and Barbour Turtles of the United States (1972). It wasn’t until freshman year of high school that I obtained Pritchard’s Encyclopedia of Turtles (1979) as a gift. I gawked at that book for several years in a pet store, but the price kept it out of my hands. Up until about 6 years ago Graptemys.com was a functioning website with very basic descriptions and photographs of all the map turtle species. Due to family, work, and basic changes in life, I have not had the time to put the effort into making this site what I always thought it should be. I took it down a few years ago for of those reasons plus the fact that it was very dated. I was also writing a book on Graptemys in the early 2000’s and had to stop due to unforeseen circumstances. 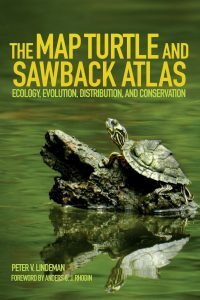 In the meantime, Dr. Peter Lindeman published The Map Turtle and Sawback Atlas (2013), which I consider to be a masterpiece and cannot be outdone. If you have any interest in map turtles, that book is a must have…. nearly EVERYTHING known about the natural history of map turtles (at least up until 2013) is in that book and summarized. Previously, the website had species descriptions, a conservation issues section , news section, a forum to discuss various topics about these turtles, and a bibliography. I plan to have all of those sections back in much more detail, plus a lot of what I had written for my book. I will also expand on the scope of the website to encompass other areas concerning map turtles. The purpose of the website is foremost to act as an educational tool to give people a easy to access resource to information about these amazing turtles. I hope, when the website is complete, that all interested parties will find something useful there. By everyone, I mean scientists, students, naturalists, hobbyists, youths that have an interest in turtles, etc. 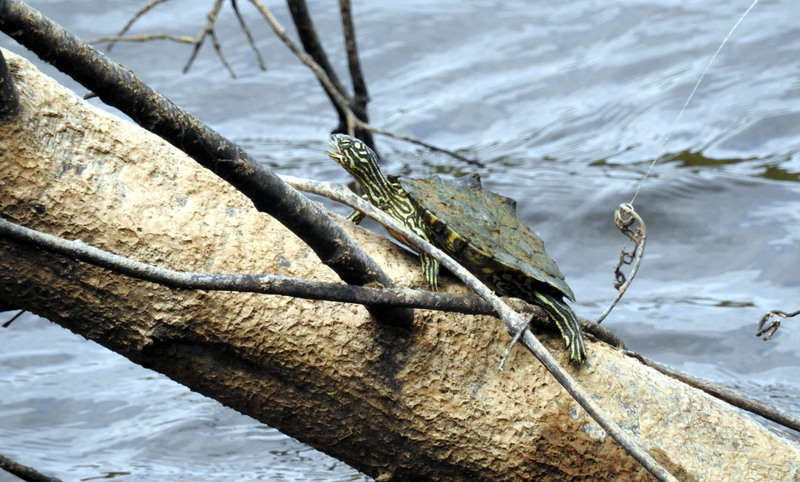 I have been asking for photographs of wild map turtles for the website from various people. This site will be so much better if people contribute photographs naming the species, river, county and state. This is the best way to show variation within a species or even a river. I have limitless room for those photographs. If you have any suggestions, please let me know. Instead of having a full website launch date (when it is complete, ha ha) I will just post sections as they get done. Sorry for the inconvenience.